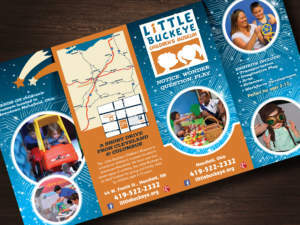 The Little Buckeye Children’s Museum achieved the Ruby Award (2nd place!) for their brochure in 2018. The RUBY Awards are the Ohio Travel Association’s way of honoring those who have found the most innovative ways to market their destination or services. In the seventeenth year of the RUBY Awards, OTA will recognize and reward outstanding artistry in the diverse field of travel and tourism marketing and advertising.